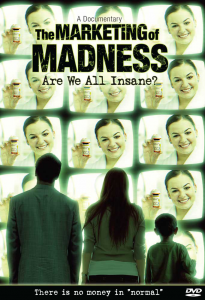 This is the definitive documentary on psychotropic drugging and how the psychiatrists market madness. Here is the story of the high income partnership between psychiatry and drug companies that has created an $80 billion psychotropic drug profit center. But appearances are deceiving. How valid are psychiatrists’ diagnoses—and how safe are their drugs? Digging deep beneath the corporate veneer, this three-part documentary exposes the truth behind the slick marketing schemes and scientific deceit that conceal a dangerous and often deadly sales campaign. Take advantage of our bulk discount prices available to assist you in distributing this documentary to friends, associates and family members.